As a business specialising in Commercial and Editorial photography, we thought we’d bring you this short blog post explaining the differences between the two and how you can choose which style of imagery is best suited for you. At it’s core, the aim of commercial photography is to help promote or sell your products or services. Commercial images tend to hone in on something specific and are generally used for advertising purposes. Compositions are usually very simple and elegantly styled along with the use of controlled lighting. The photographer normally has to work to specifics laid out by the client and typically operates within an environment which can be fully controlled i.e. background, colour scheme, composition and lighting however depending on the client’s requirements those factors may not be completely controllable and are not limited by those alone. An example is the image below, a moody low key image of a technical stormproof jacket, this was shot in a studio environment with controlled lighting. Who is commercial photography for? If your business involves selling a product or service then you need commercial photography. You are likely to require still images of your products to enable you to sell them. This may be for your website or catalogue where potential customers can view the products in detail. Having good quality images of your products not only makes you appear more professional but also is more likely to help your products sell. Commercial images are not solely limited to products however. You can utilise commercial photography to help promote your business or service in general, perhaps displaying the process behind the end product, or perhaps you simply wish to have some images of your team, commercial photographs go a long way helping your potential customers make an informed decision. 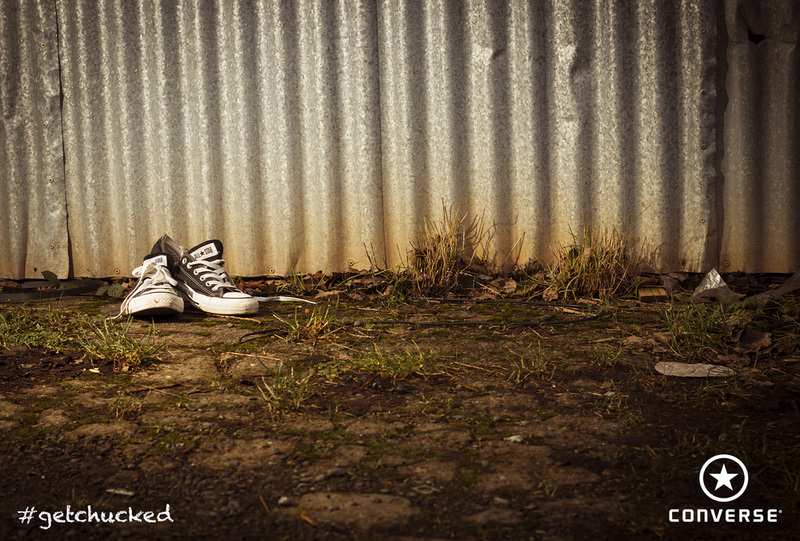 Our All Star Converse image, an example of Commercial product photography. Flicking through a glossy magazine? Reading an online blog or report? Any imagery featured is editorial. Images produced specifically for publication, whether in print or online, is regarded as editorial. The major differences to commercial photography include though are not limited to environments in which the photographs are taken are not fully controllable, compositions tend to be slightly more complex and is usually a more accurate portrayal of subject matter. When I think of editorial photography, the word ‘lifestyle’ comes to mind. If an image is displaying some degree of lifestyle, that is an editorial image. For editorial work, the photographer would normally liaise with the client, usually a web or graphic designer, a journalist or publisher to produce images to the requirements and may be asked to ensure negative space is made available for text or some form of typography. We worked with mountain bike journalist Clive Forth to provide some images for his up and coming articles on descent-world.co.uk, the image below shows how editorial images can be used in conjunction with graphics and typography. Who is editorial photography for? If you are a web or graphic designer, art director, journalist, blog writer or publisher you would typically require editorial photography to help support your written or design material. The images allow the viewer to relate and understand more about the story and would typically be the only visual representation of it. For this reason it is crucial that only high quality editorial images are used in your feature. Take this blog post for instance, do you think our explanation of the two types would be as clear cut if we didn't feature some example photographs? As the age old saying goes, a photo speaks a thousand words! Stage Two Imaging will be continuing to update our portfolio to include some stunning Commercial & Editorial photography. If you require any photography to help sell your products or support your next online feature, please don’t hesitate to get in touch via the contact page.